Straw in color and bittered with an abundance of citrus and spicy hops, Perpetual IPA is a tribute to building our new brewery and our desire to continue exploring. In our constant evolution as a brewery, we've developed on undying drive to meld the organic and the mechanical. 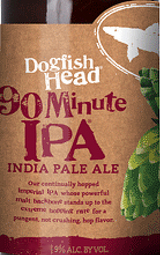 Perpetual IPA utilizes our hopback and dry-hopping to engineer a bold Imperial Pale Ale. 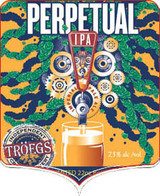 Perpetual IPA is 7.5% ABV and 85 IBUs. It features Bravo, Chinook and Mt. Hood hops in the boil, Mt. Hood and Nugget hops in the hopback and Citra, Cascade and Nugget hops in dry-hopping.